Uses blue light to view DNA gels stained with SYBR safe - eliminating ethidium bromide and UV light. 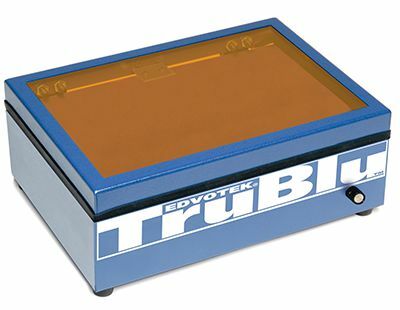 The all-new TruBlu™ LED transilluminator utilizes blue light to view DNA gels stained with SYBR® safe, thus eliminating the need for UV light or ethidium bromide. The spacious viewing area fits multiple agarose gels, and the high intensity control and orange lid ensure superior visualization. Developed in concert with the inventor of the technology, under license from clare chemical research, Inc.